From your first bite, you'll love the mouth-watering flavor that comes from premium kernels and seasonings hand-crafted in small batches. You'll feel even better knowing you are getting whole grain goodness, with zero trans-fat and cholestrol. With popcorn this good, you'll want to devour every last kernel, that's why we take the extra step to remove unpopped kernels, grannies etc. from every bag of popcorn. 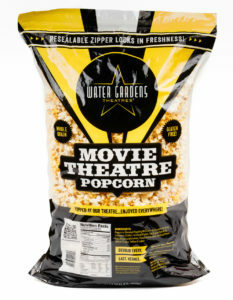 We package our popcorn in clear-resealable bags so you can see exactly what you are buying. 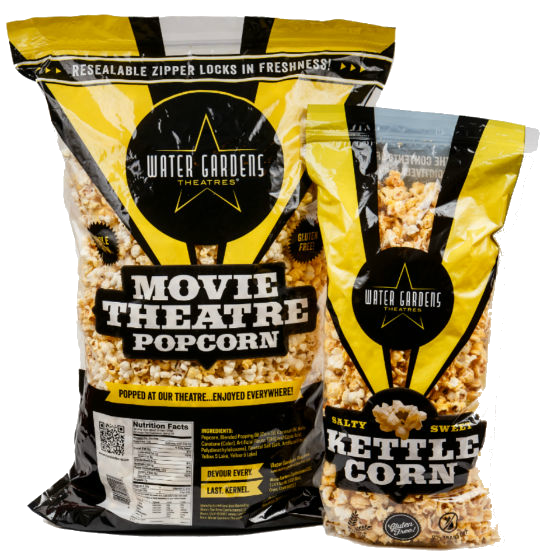 Whether you're binge watching a whole season or around the campfire with your whole crew, our party-size resealable bags of popcorn help fuel the fun without breaking the bank. Popcorn shouldn't be expensive to be delicious. It all started with a search for the ultimate kettle corn in a movie theatre kitchen in 2014. After months of trying and hundreds of combinations, we hit upon that perfect balance of salty and sweet. 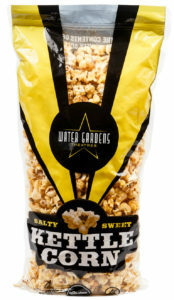 Family and friends loved our salty & sweet kettle corn and told us we should sell it in stores. Working overnight, we made our kettle corn in the theatre popper and delivered it to stores by pick-up truck during the day. Once people tried it, they’d buy and a hit was born. Later, guests at our theatre started asking how they could buy the popcorn we made in the theatre. It took some time, but eventually, we developed a process and packaging that locked in the fresh popped taste our theatre customers craved. And just like our kettle corn, it distinctive flavor made it an instant hit that is now loved by people all over the West. Your love for popcorn doesn't have to end at meal time. We built a collection of receipes that use our popcorn in every meal from breakfast to dinner. Click below to check them out.